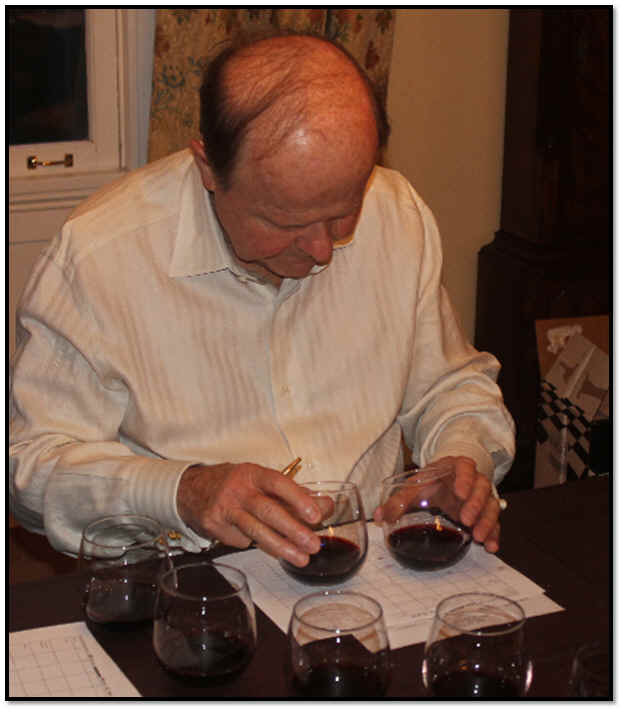 Many wineries are thrilled with the glowing vintage assessment of the 2007 harvest from "experts" such as the people at The Wine Spectator. This usually means contiguous vintages are over-shadowed by the hyped year. 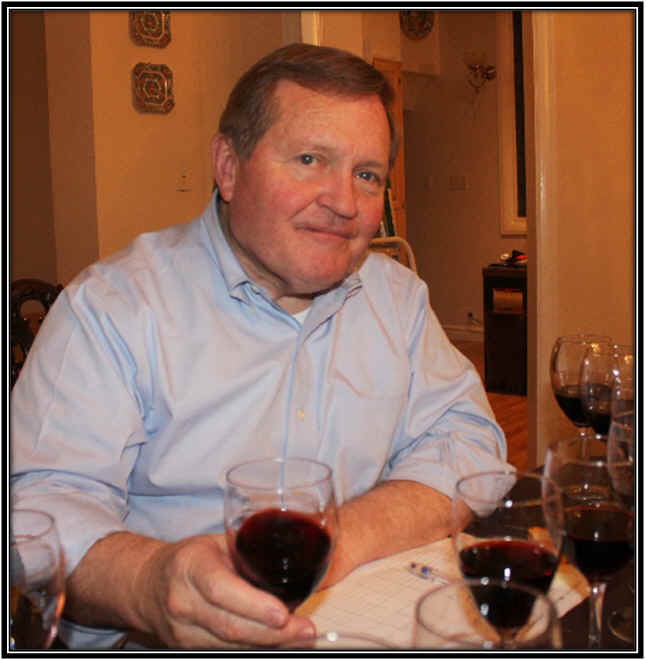 Vino Fino host Ernie Anderson assembled a set of 2008 California Cabernets and he included a Caymus 2007 as a benchmark alongside the same producer's 2008. This should give us a good reading on the vintage, at least for one winery. We had seven Napa Valley wines and one bottling from Livermore. One wine was far ahead of the rest and it ran away with the tasting. 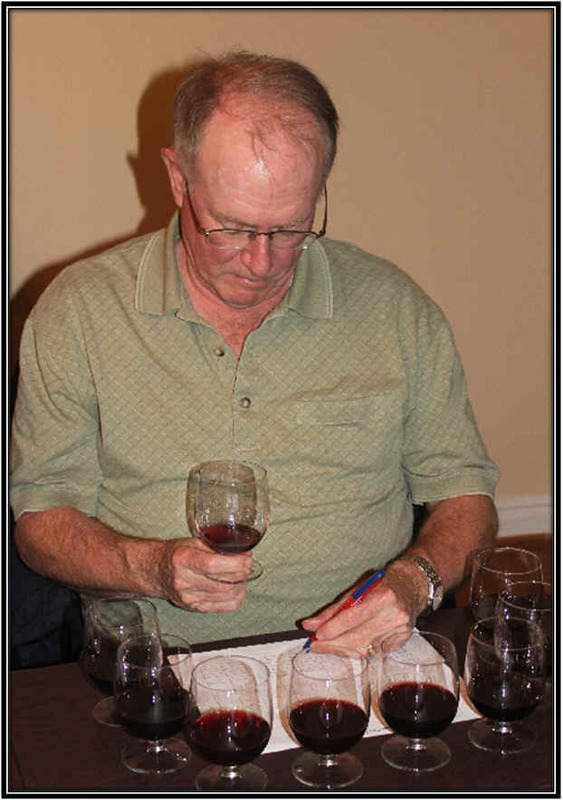 Two wines were well behind the group, coming in a flat-footed tie for last place. I didn't think any of the wines was hugely fantastic. 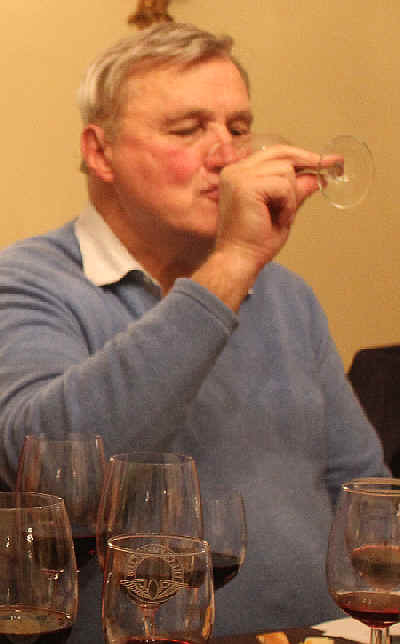 Though the winning wine was nice, it didn't seem to be THAT much better than other wines. Of course, the field of players makes a difference. Clear and medium ruby in color, I found a slight 'burnt' note on the nose which was bothersome. There's some woodsy notes here, too and light oak. It's a medium+ bodied red with some vanillin notes to start on the palate. The wine has moderate tannins and is a perfectly pleasant bottle of red wine, but it didn't register as a "grand vin" on my taste-o-meter. I gave it perhaps a half star rating on my three star scale, no stars being an average quality wine. 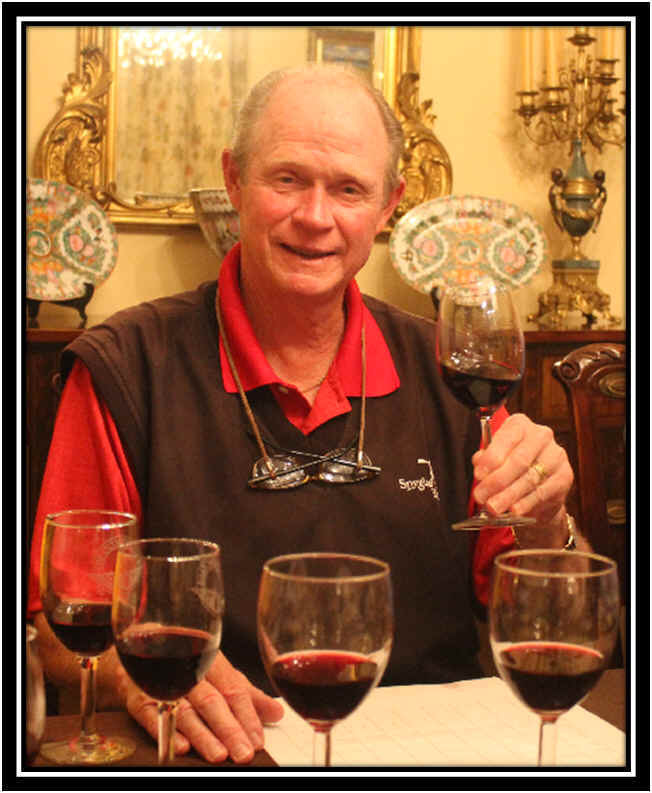 I recall visiting old Arnold Tudal in the 1970s, an affable farmer who began cultivating a vineyard and making wine. His label lives on and the wine was clear in appearance and medium ruby in color. The nose offered hints of red fruits with no particular distinction or complexity. The wine is dry and sports decent acidity. Medium+ bodied. 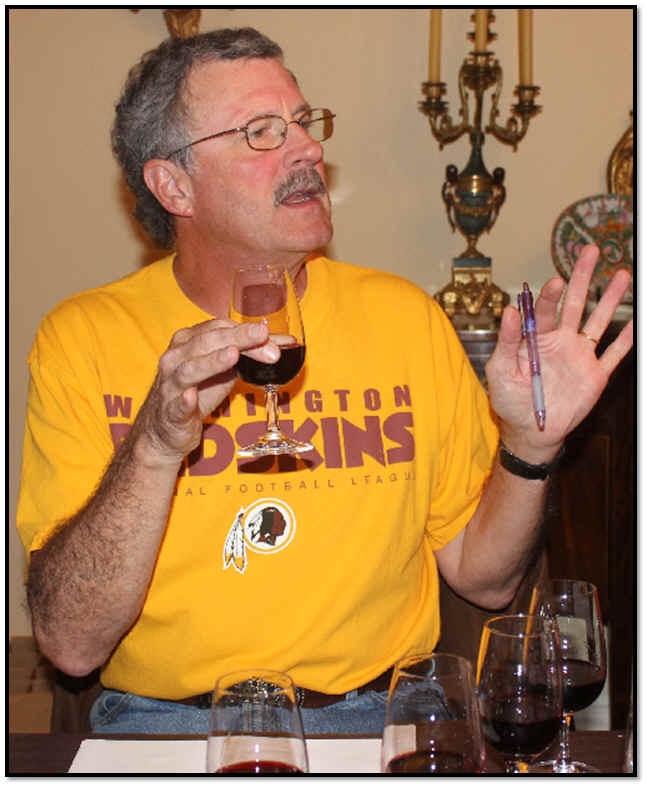 It struck me as a standard red table wine with light tannins and a faintly woodsy tone on the palate. No stars. Clear in appearance and deep ruby in color, the nose leans toward the over-ripe end of the spectrum, showing a faintly prune-like aroma. This is not what Cabernet is all about in my view. The wine is dry and soft on the palate, being somewhat robust...perhaps the lack of acidity adds to the 'full' quality of the wine. I found no particular Cabernet complexity, so I ranked it low and did not award it a star. With a deep ruby color and clear appearance, the aromas began with a lightly herbal tone and a hint of prune aromas. It's dry and medium+ bodied, but the overall impression seemed a bit flat. I described it as a "standard red wine" and did not find this as impressive at their 2006 or 2007 bottlings. Ho Hum! No stars. Clear in appearance and deep ruby in color, there's nice dark fruit aromas to this lightly oaked Napa Cabernet. It's dry and has a reasonable level of acidity. Medium+ bodied, the wine seemed fairly tannic and yet has good fruit intensity to strike a good balance. I gave it a one star rating...nice now with food and probably cellarworthy for 5-10 years. Clear in appearance, this wine was deep ruby in color and showed plenty of bright fruit notes. Dark fruits and sweet spices with sweet oak made for an interesting wine...I knocked it down a bit for being slightly jammy. It's dry and decently acidic. Medium-full on the palate, there's nice dark berry fruit flavors and light vanilla cream flavors with mild tannins. Quite showy. One star+. Medium ruby in color, this wine is clear in appearance. The fragrances are lightly floral, with some violety aromas and some dark fruit. Dry and mildly acidic, this medium-bodied Cabernet is moderately tannic. I didn't find it as flashy as my other higher rated wines nor is it particularly complex. I gave it a one half star rating. Clear in appearance and deep ruby in color, there's a nice cedar spice note to the nose of this Caymus Cabernet. It's got both ripe fruit and woodsy, sweet oak tones. Dry and moderately acidic, this is medium-full bodied on the palate. Dark fruit flavors with a cedary, woodsy undertone. Nice balance and a bright, exuberant Cabernet. It may cellar well for a decade. One-and-a-half stars.